The technology group Wärtsilä has launched its RS24 high resolution radar, the world's first commercially available K-band maritime radar. The first orders for the Wärtsilä RS24 have been received and delivered, and indications are that the system will prove particularly beneficial to vessels, such as cruise ships and ferries, that make frequent port calls. The system is featured in Wärtsilä's IntelliTug project, which combines technologies, innovations, and digital solutions to develop a tug with autonomous navigation. The concept is aimed at having a vessel capable of performing a range of routine missions designed to further improve operational safety and efficiencies for tugs. Ports around the world are becoming busier, which increases the risk of collisions and damage. Operators need to be able to see what is close to the ship at all times, and traditional radar doesn't always achieve this. The RS24 radar will be installed on two cruise ships during the first quarter of 2019. 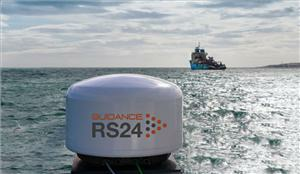 Trials are also being carried out utilizing the RS24 for wave detection purposes. If successful, this will have significant implications for the future of passenger comfort. Average marine fire dampers don't take bulkhead and deck thicknesses into consideration.